SUPERIOR – The Lady Eagles have been working hard, coming close to match wins and testing opponents by taking matches into extra sets, but have been coming up short in the end and are still searching for a conference victory. On Saturday the Lady Eagles took the Lady Bobcats to four sets in Superior but couldn’t grip the win coming home with the 1-3 loss. Tyra Michel, who’s been leading the Lady Eagles all season long, proved to take control once again as the Two Eagle River stat leader with two kills, two blocks, seven digs and three aces. 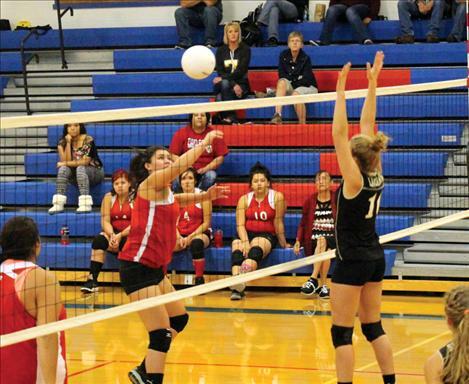 The Lady Eagles will continue their search for wins hosting Noxon Oct. 16.